While doing further research for my OS X Caching Only Name Server series, it has come to my attention that a couple of my methods (specifically relating to Startup Items and starting the daemon) are outdated. 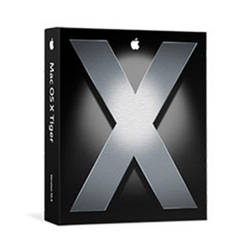 Although these methods may have been acceptable in pre-Tiger versions of OS X, Mac OS X 10.4 (Tiger) has a much more efficient system for managing start up of the BIND daemon. I've corrected the previously mentioned pages to point out that those methods are out of date, but I've left them in place since they are valid for some versions of Mac OS X. I apologize for any trouble (in the form of extra work, most likely) this has created. In Mac OS X 10.4 (Tiger), startup of the BIND daemon is controlled by the launchd daemon manager. System-wide daemon properties list files in /System/Library/LaunchDaemons/ control what daemons launchd starts when the system boots. A quick perusal of the BIND properties list file (/System/Library/LaunchDaemons/org.isc.named.plist) reveals that the BIND named daemon is disabled by default. Although you can use a text editor or the Apple Property List Editor to enable the daemon, there's a simple way to do it from the command line. As always, the '$' represents the shell prompt and should not be typed. The -w argument to the load command tells launchctl to override the Disabled key and save the new configuration to the plist file. You can use the methods recommended in Starting BIND In OS X (Even After Reboot) to see that named is running. In addition, the launchctl utility includes a list command that will show everything that has been loaded into launchd. The item representing BIND is called org.isc.named. Question: what do I edit to tell BIND where to find a parent proxy and give it the user name and password for the parent? Do you have a sample configuration file? @Dan - Check out Using Forwarders in BIND Name Servers for more information. command witch you told me here, solved my issue.